Lobb & Kerr Lawyers is a dynamic law firm located in Mount Waverley, Victoria. 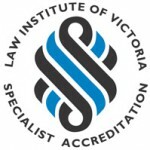 Our team of friendly and approachable lawyers and legal professionals have gained an enviable reputation for our expertise, professionalism and high quality service. The firm’s senior partner, Colin Lobb, commenced practising in Mount Waverley in 1969. The firm was established in the 1980s by Colin and has grown into a well-respected legal practice within the Mount Waverley community. We are located on the first floor of 262 Stephensons Road, Mount Waverley and also maintain an office on the ground floor at this address for the convenience of our clients who may have difficulties with our stairs.